A SECOND vegetation fire has sparked at 1284 Elliott Heads Rd, Woongarra, Bundaberg. Eight fire-fighting crews are at the scene battling the blaze. 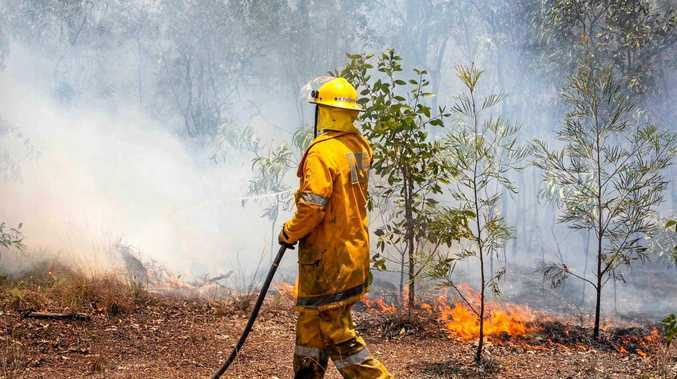 A Queensland Fire and Rescue Service spokesman said at 2.30pm two fire crews arrived at the fire where approximately 1ha was burning away from a structure. While nothing is under threat at this stage smoke may affect residents and motorists in the area. Residents should close their doors and windows and keep medication close by if suffering from a respiratory condition. Motorists should use caution and drive to conditions. If you believe your property is under threat, you should call 000 immediately.